MONTREAL, Canada, February 8, 2012 (ENS) – The transboundary movement of spent lead-acid batteries in North America has environmental and public health consequences to communities in Mexico that are the subject of a new investigation by the Secretariat of the Commission for Environmental Cooperation, CEC. The Commission was established by Canada, the United States and Mexico to implement the environmental side accord to the North American Free Trade Agreement, NAFTA. “Data provided suggest that since 2007 there has been a very significant increase in spent lead-acid batteries crossing the border to Mexico, with a most disturbing increase of 112 percent in 2010 over the previous year alone,” said the JPAC. Lead is a persistent, bioaccumulative, toxic substance that can cause developmental harm, especially in children. Even in small doses, exposure to lead dust and vapors – in lead-contaminated air, water, or soil – has been associated with nervous system impairment in fetuses and young children, resulting in learning deficits and lowered IQ. The Commission for Environmental Cooperation December 2007 report, “Practices and Options for Environmentally Sound Management of Spent Lead-acid Batteries within North America” reviewed the legal and regulatory regimes in each country and set out standards and best practices for the environmentally sound management of lead-acid battery recycling. The citizen advisory group said it seeks to ensure that the CEC takes action to foster compliance with the criteria for environmentally sound management described in that document and to have a report ready for the July meeting of the CEC Council – the three cabinet-level environmental officials from Canada, Mexico and the United States. 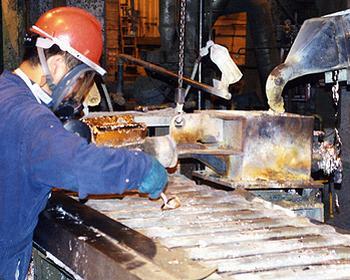 An analysis of trade statistics by “The New York Times” conducted in 2011 shows that about 20 percent of spent American vehicle and industrial batteries are now exported to Mexico, up from six percent in 2007. About 20 million such batteries crossed the border in 2011, according to United States trade statistics, In September 2011, more than 60 18-wheelers full of old batteries crossed the border each day, trade records show. 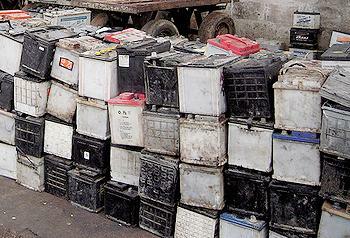 The CEC said its new study will gather information on the recent steep increase in transboundary shipments of spent lead-acid batteries within North America for recovery and recycling of lead for remanufacture, including where and how they are being shipped. Investigators will determine the current status of relevant environmental and health regulations, implementation and enforcement. They will probe indications that differing costs of compliance with environmental and health regulations may be affecting decisions on where to locate recycling activities within the three countries. The CEC said the new study and its recommendations will be developed through research and consultation with affected communities, industry representatives, nongovernmental organizations, government agencies from all three countries, the Joint Public Advisory Committee and other experts. “The independent report will conclude with recommendations concerning steps to improve the environmental management of spent lead-acid batteries and to diminish the pollution and environmental health effects impacting vulnerable populations that live near certain recycling operations, particularly in Mexico,” said the CEC. The recommendations are intended to promote opportunities for proper management of spent lead-acid batteries so that human health and the environment are protected in all three countries.